Chocolate Covered Baby Bottle. Aventi Glass Bottle. approx. 9" tall with cap. Something for the parents to enjoy and use! 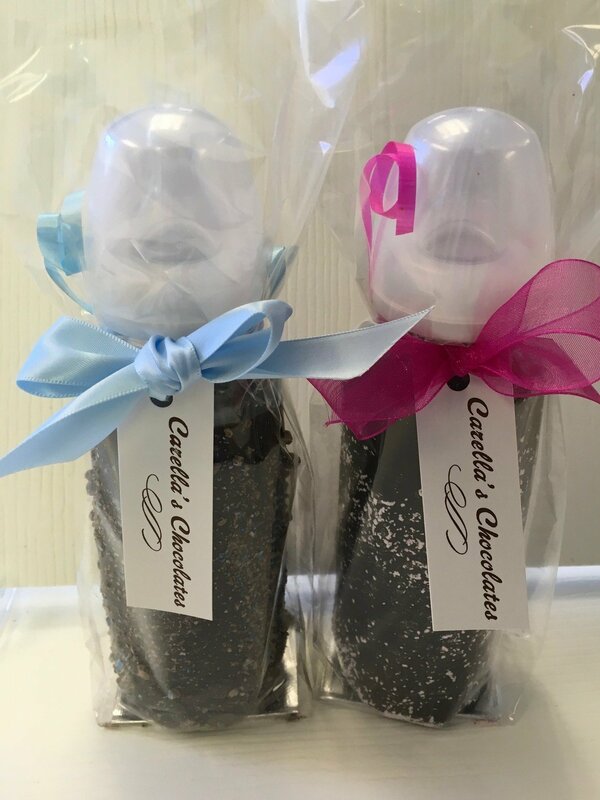 Add this Item to a Box of Carella's Chocolates for the New parents!